YouTube has deleted four videos posted by InfoWars founder Alex Jones, the controversial online personality famous for peddling conspiracy theories, and issued a "strike" against him. The videos uploaded to The Alex Jones Channel contained hate speech directed toward Muslims, among other groups; one featured the headline, "How to prevent liberalism" and showed an adult shoving a child to the ground. In a blog post, InfoWars said YouTube claimed all four videos had violated its "policy on violent or graphic content." YouTube said as much in a statement to CNNMoney. "We have long standing policies against child endangerment and hate speech," said the statement from Google, which owns YouTube. "We apply our policies consistently according to the content in the videos, regardless of the speaker or the channel." InfoWars has not yet responded to CNNMoney's request for comment. 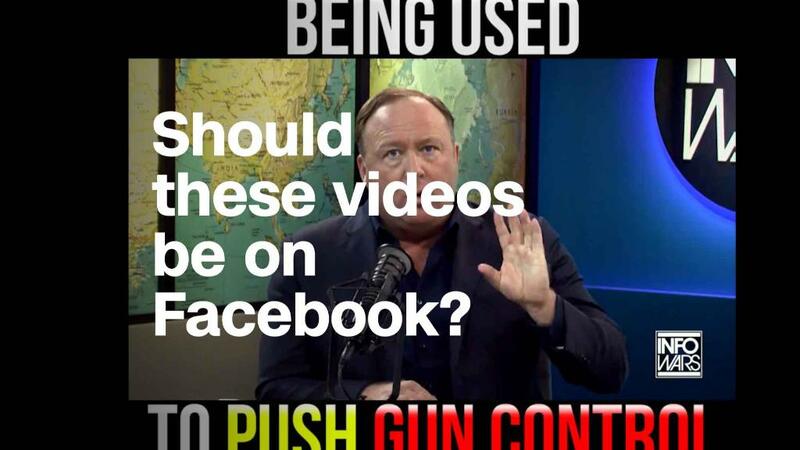 However, Jones tweeted an acknowledgment of the YouTube action with a link to the InfoWars website -- where he said the videos are still available. Although YouTube finds Jones' content objectionable enough to delete, it continues earning money from it by placing ads on the channels he and InfoWars run on the platform. If those channels are indeed monetized, as Jones previously has said they are, InfoWars receives a portion of the ad revenue from the channels, which have more than 2.4 million subscribers. Jones and InfoWars regularly traffic in conspiracy theories, including the claim that the Sandy Hook Elementary School shooting was a hoax. Some of the victims' families are suing Jones for defamation. Jones has said his lawyers are "very, very confident" the lawsuits are "frivolous" and "will be thrown out" of court. "They will be dropped because they have no merit," Jones said. YouTube levied a strike against Jones in February following the Parkland school shooting when he claimed shooting survivor David Hogg, who has become an outspoken advocate for gun control, was a "crisis actor." Jones lost his ability to livestrem then as well. Although the latest strike bars Jones from livestreaming, he often uploads broadcasts after the fact. Two recent CNN investigations found YouTube was placing ads on InfoWars channels without the advertisers' knowledge. As a result of the investigations, some companies stopped advertising on the platform.